Red Square is a city square in Moscow, Russia. The square separates the Kremlin, the former royal citadel and currently the official residence of the President of Russia, from a historic merchant quarter known as Kitai-gorod. 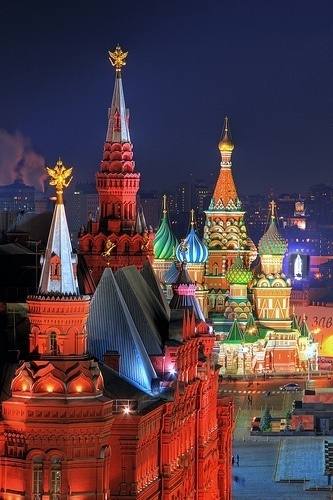 Red Square is often considered the central square of Moscow and all of Russia, because Moscow's major streets—which connect to Russia's major highways—originate from the square.